Now Write! is Now Out at a Bookstore Near You. For all of you nonfiction junkies and students of the craft, you might want to check out Now Write! 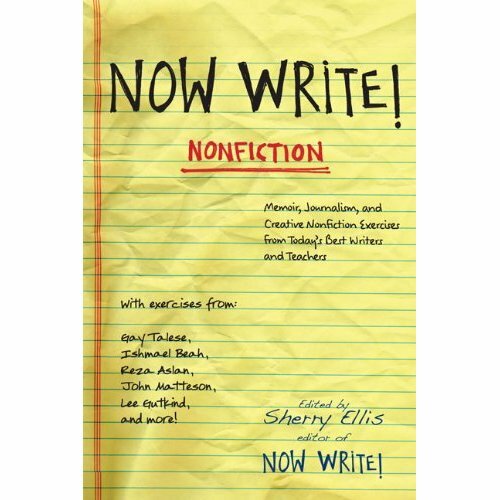 Nonfiction: Memoir, Journalism, and Creative Nonfiction Exercises from Today’s Best Writers and Teachers (Tarcher/Penguin 2009). I’ve got a piece in there called, “Portrait of the Past as Memory,” alongside some of my favorite nonfictioners. Happy to be in such company. Edited by Sherry Ellis, the anthology has loads of “get you started” prompts by Gay Talease, Robin Hemley, Madeleine Blais , Jenny Boully, Honor Moore, David Gessner, Rebecca McClanahan, Robert Atwan and more. It’s like a K-Tel Hits Package of nonfiction writers all under one roof. Check it out.